Are you planning to start or expand your business to the steadily growing York Region, a home to 1,032,606 (estimated as of Dec. 2009)? 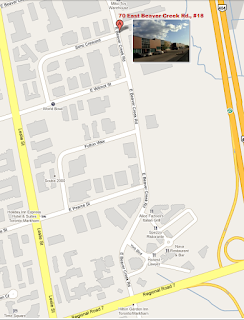 If your products and services are targeting at Markham and Richmond Hill where about half a million people reside and about 30,000 businesses base; or you would like to position yourself, in Canada 's High-Tech Capital, among 800+ technology and life-sciences companies, 70 East Beaver Creek Rd. Unit #18 is now available for lease. It is an ideal location to launch your business. This commercial unit is strategically located. 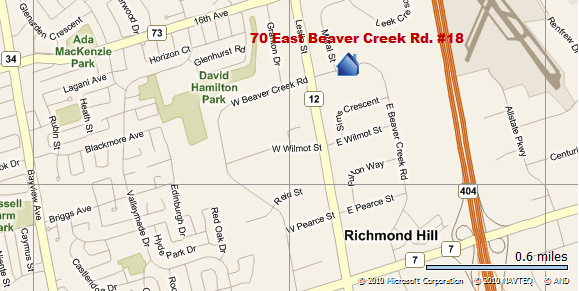 The East Beaver Creek Business Park is off from Lesile St (next to Highway 404) and between 16th Ave. and Highway 7. It is where Markham and Richmond Hill meet, and most commercial, retail and social activities take place. Plus, Highway 407 and Buttonville Airport are only a couple of minutes away and ready there for your business to take off. The 70 East Beaver Creek Rd. Unit # 18 is professionally finished with 3 offices, 1 general area, a pantry, a bathroom, ceramic floor, high ceiling and a new roof-top HVAC unit. Given its presentable set up and ground floor convenience, it is suitable for office use as well as retail, showroom and professional services. Details and showing arrangement are here. Time to seize the opportunity. The opportunity for this rare quality rental space. The Opportunity to Build and Grow Your Business.